One of my goals of 2014 is be more organized. I feel like this is my goal every year but this is the year everything will stick…hopefully. I have been working on a few projects around my house to get me started in the right direction. 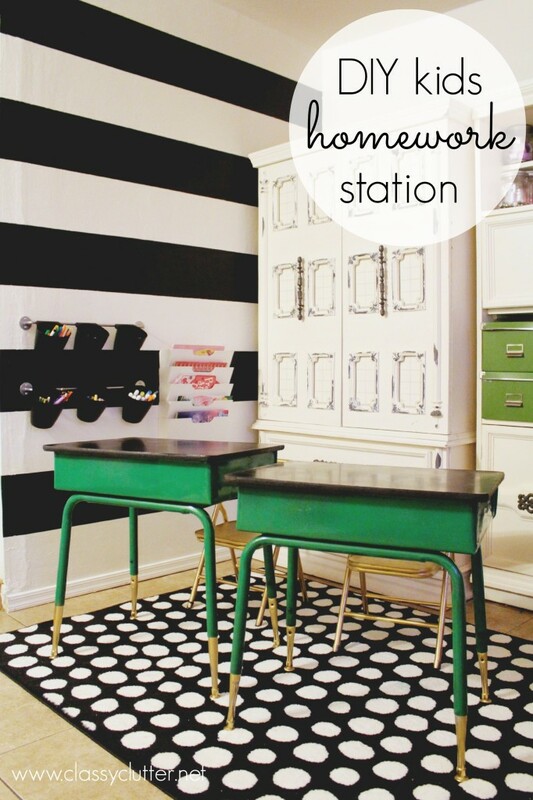 First, was this DIY Homework Station! I wanted to make over this cute corner in my girls playroom that they can keep all their art supplies and also work on their homework or the latest masterpiece! The playroom has been needing a uplift for sometime now. With some help of my sister and friend, I repainted the whole room white then I added the black stripes. 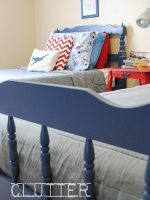 You can learn how to paint perfect horizontal stripes here. How awesome are those cute school desks? I scored those at a local thrift store for only $8 a piece. With the help of some black and kelly green spray paint and of course gold legs these desk were revamped in no time. The girls got the easel for Christmas and it is from Ikea for only $10. While I was at ikea, I also picked up those cute little storage cups ($1 each) , hanging rod ($2.99) and the magazine rack ($14.99) perfect for keeping everything organized in the corner. I love the magazine rack for holding coloring books! I also got the cute rug at Ikea for only $20. I mean honestly, that’s a crazy great price! What do you think? I can’t wait to show you the entire playroom! Where do your kids do art projects and homework? Just the dining room table for us…but I love this space! I adore this big time!!!! 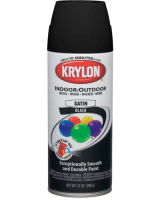 These are the colors of my sons room makeover. So cute. I have the same bar and buckets in my son’s room above his desk! Team IKEA! Savannah!!! This is beyond incredible. We don’t have any babies yet but I would steal this as my office in a heartbeat. If you’re ever in Philadelphia and need a house to dress up, I’m all yours! I love this area! The color combo is amazing! I would love for you to link up at Link’n Blogs. I. am. LOVING! I love the bright bold colors you selected and adding just a bit of gold, perfect! Thanks for sharing. I’m a new follower via Bloglovin’! This area is great. But where did you get that rug?? I’m a huge polka fan. That was a great deal for those desk, I’m a big thrift store fan. Total score with that! 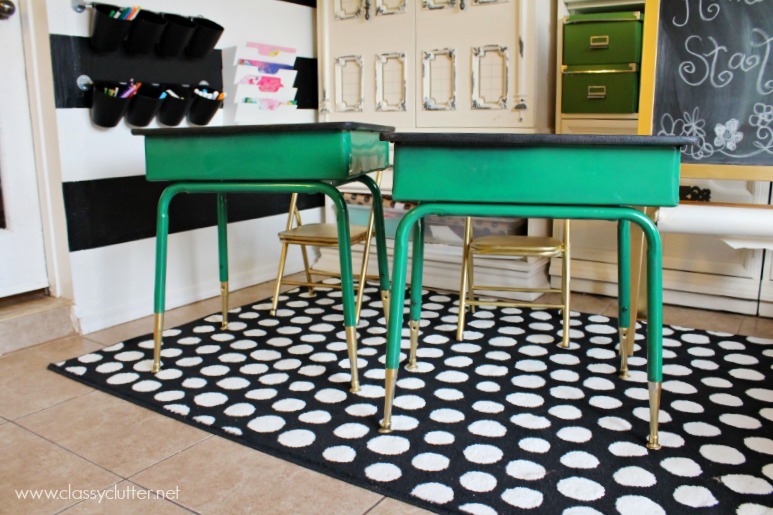 Oh I love the polka-dot rug, it just livens up the whole room! I also love the colors of the desks. Such a happy place! Those desk and the rug make the space! Love the green, black and white color combination! Savannah! That room is so amazing!!! We homeschool and I wish I could find desks like that for such a score! Great stripes paired with the bold Kelly-ish green desks. Oh my.. I love those desks! 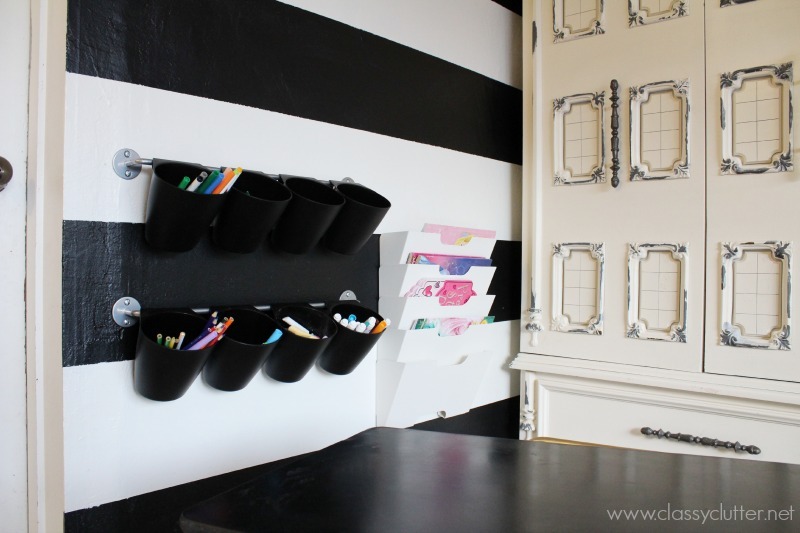 I have 2 desks like that in my girls room, but have not painted them yet. Yours look amazing! 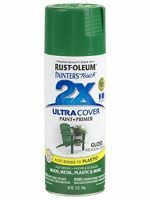 Did you paint the tops too? How are the tops holding up? Love all the bright colors…perfect for getting the juices flowing and ready to tackle that homework! Beautiful! Where did the polka dot rug come from? 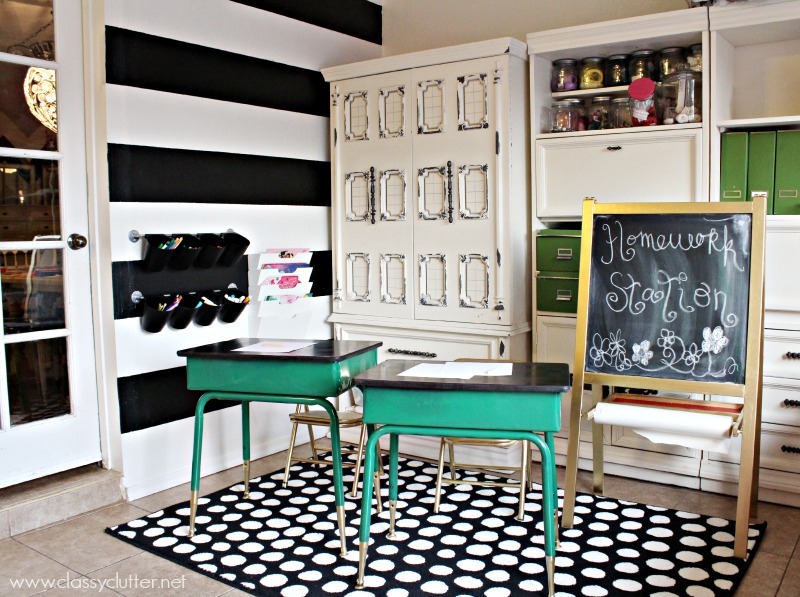 LOVE this homework station! 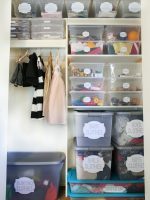 I would love to feature this in a round up of homework stations on West Valley Moms blog including one photo and a direct link back to this post. Thanks for sharing this space! It turned out wonderful! Your space looks so awesome and bright.